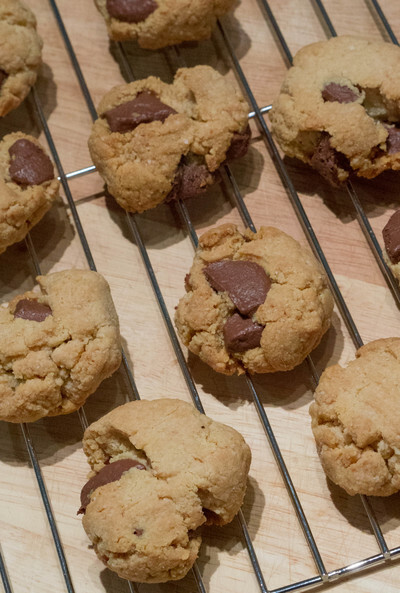 Everyone loves a chocolate chip cookie, and even more so when you don't feel guilty after eating one! 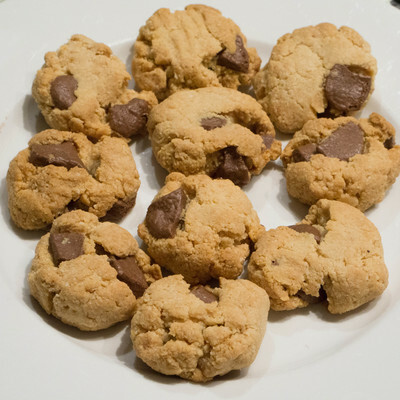 This recipe comes from Australian chef Teresa Cutter's website The Healthy Chef and has been slightly adapted with the use of rice malt syrup to cut out the fructose. They are made with only five ingredients! Does it get any easier? It is the fastest recipe you will ever make and the outcome is wonderful. Simply mix all ingredients together in a bowl (leaving chocolate until last) and you’re done. 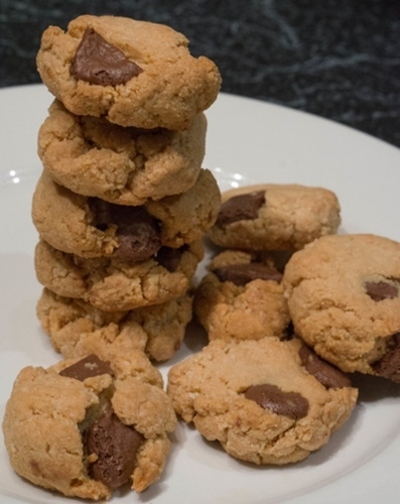 Apart from the chocolate bits, these cookies are free of refined sugar (and fructose free! ), dairy, gluten and oil. Keep these super healthy by adding in dark chocolate that is at least 70% (making it lower in sugar), or you can opt for a no added sugar version like these ones. Once they come out of the oven, let them cool completely so that they get that crunch on the outside with the softer centre. 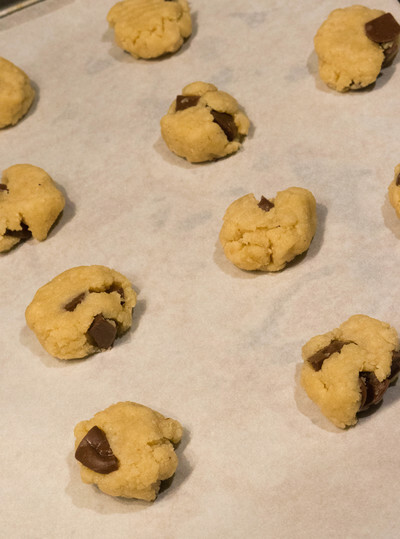 Preheat oven to 150 C and line a cookie tray with baking paper. 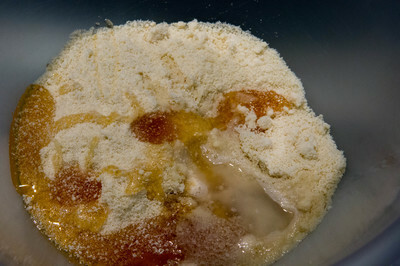 Combine the first four ingredients and mix together. 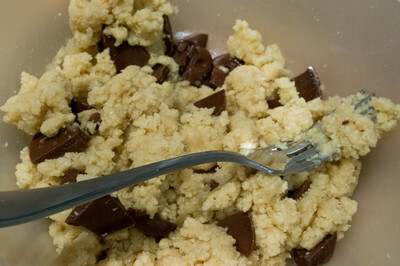 Add a splash of water to bring the dough together and then fold in chocolate chunks. Using slightly wet hands, roll mixture in to balls and place on prepared baking tray. Flatten slightly with palm. Bake in pre-heated oven for about 20-25 minutes until golden.